Hi everyone! Today I wanted to share a lovely box that I made with the fabulous Alma’s Sewing Room collection! 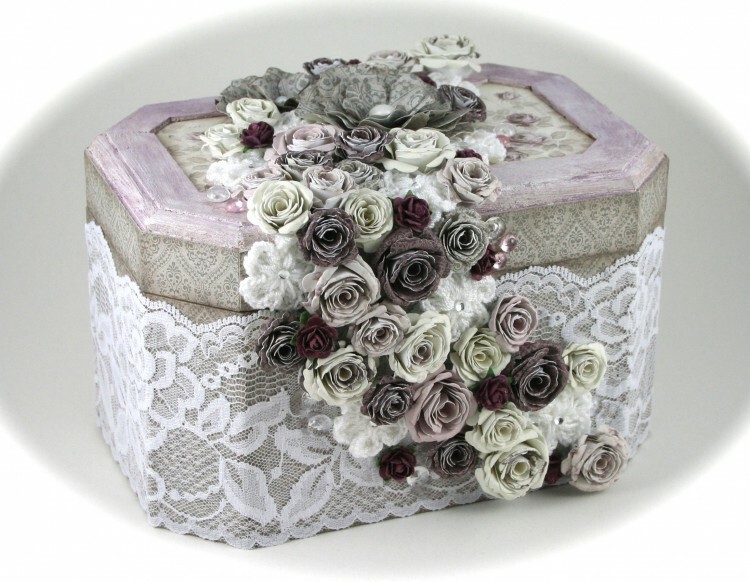 The box was covered with these beautiful papers and accented with lace fabric. 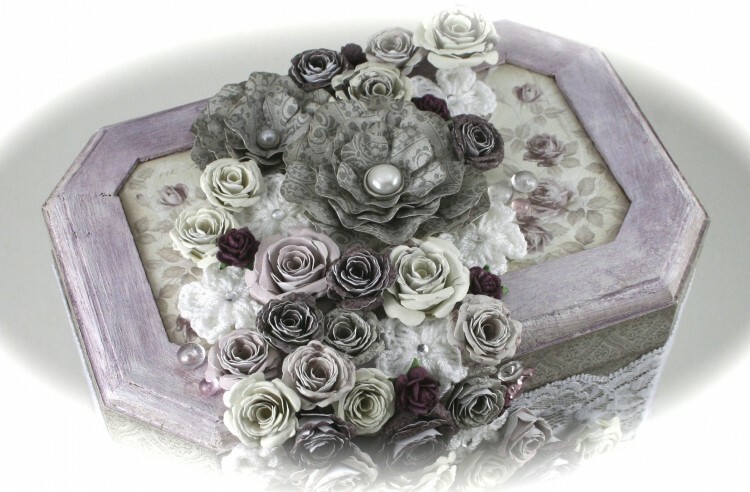 All of the paper flowers are handmade using coordinating papers from this collection.